via Blogger What do your home and food preference say about you? Reality television is all around us, for better or for worse it is a guilty pleasure for millions of viewers. When it comes to home improvement TV shows, what’s not to like, observing a rundown home get renovated and decorated into a home of your dreams has the populations attention. So combine both - reality TV meets home improvement and you have a winning formula. That’s exactly what the Australian hi, The Block TV Show, is. The Block pits 4 or 5 couples against one another to renovate and decorate houses or apartments and then sell them off at auction to the highest bidder. The couple whose renovation fetches for the most money wins… a very simple formula, yet very entertaining. Originally airing in 2003 and 2004, the show was on a long break until returning with even more success and a higher production budget in 2010. The most notable block winners to come from the TV show are Darren and Dee Jolly. The last series of The Block was The Block 2017 Australia, premiered on 30th July, it received very popular television number and episode 52, the final, had over 2.2 million viewers. The overall winner from The Block 2017 contestants was Elyse & Josh. The loved show has returned this year, The Block 2018 Australia has wrapped filming and the weekly show is only 2 weeks in. 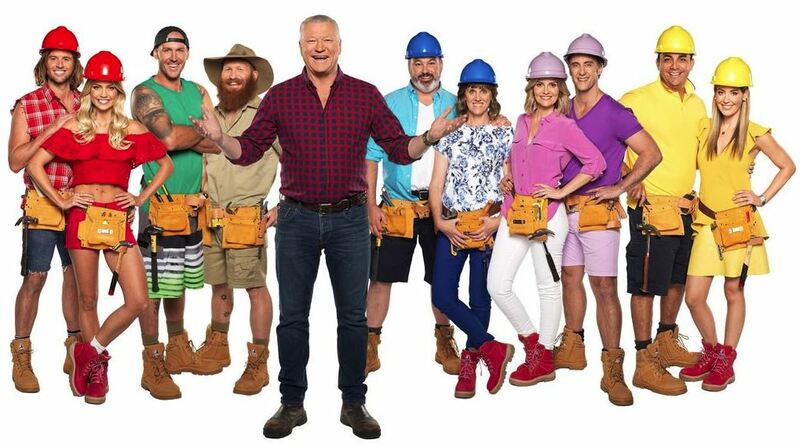 The Block 2018 contestants focus on the winning format of 5 couples but rumors are that the 2019 show could in-fact feature 8 couples. Who Are Darren and Deanne Jolly? With the amount of success, viewers and sponsorship The Block was bringing in, it was no doubt that the best of the best would gain fame. Darren and Deanne first appeared in season 9, in what was titled ‘The Block Glasshouse’. The Glasshouse episode was set in Melbourne at the Glasshouse building, 121-127 High Street. The building used in season 9 was double the size of the Dux House, the property used in the previous season. What made season 9 of the Block more interesting was that for the first time in the show, not only did the judges cast a vote on contestant’s rooms / homes but the other contestants also cast a vote on each other. Even though Darren and Dee didn’t actually win season 9 they became the nation’s favorite, with their talent, charisma and personality. 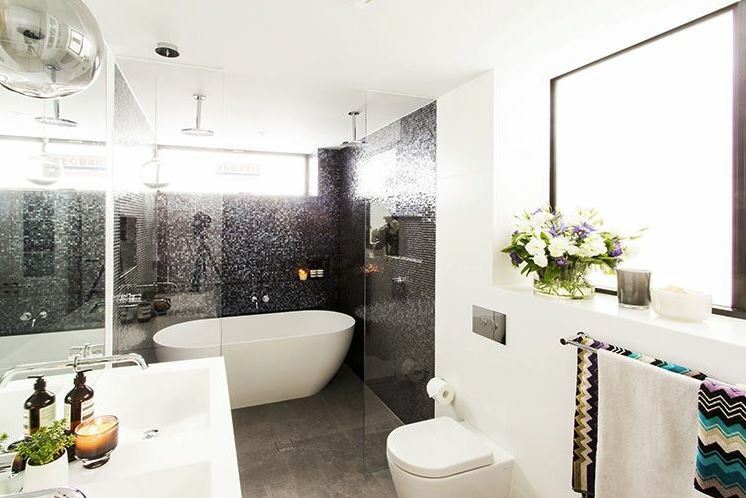 Most notably for their incredible provincial Bathroom, the viewers nicknamed it ‘the Dee and Darren bathroom’. Following their popularity, Dee and Darren returned to the show for season 10 in which 3 couples went head to head in what was known as The Block: Triple Threat. When Darren & Deanne Jolly finished the block they were on the hunt in search of their next project. 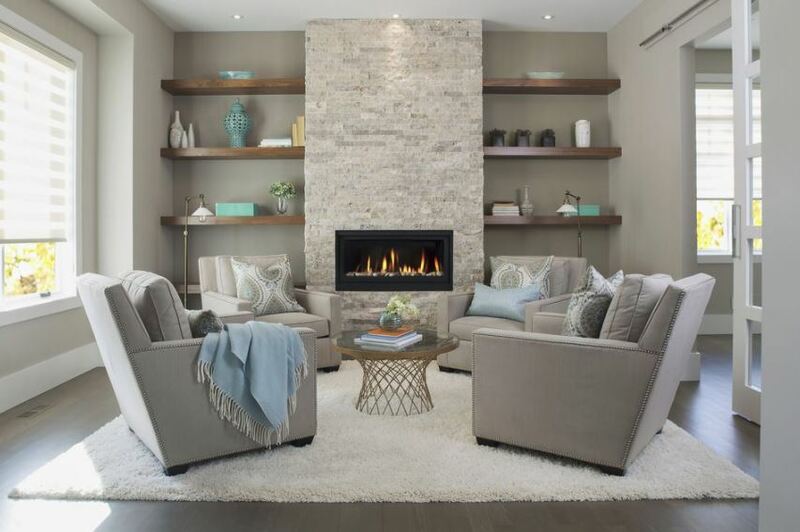 With a passion and immense talent for interior design and home renovation, it was no surprise that Darren became a qualified builder and both of them set up their own Darren and Deanne Jolly Interior design business. 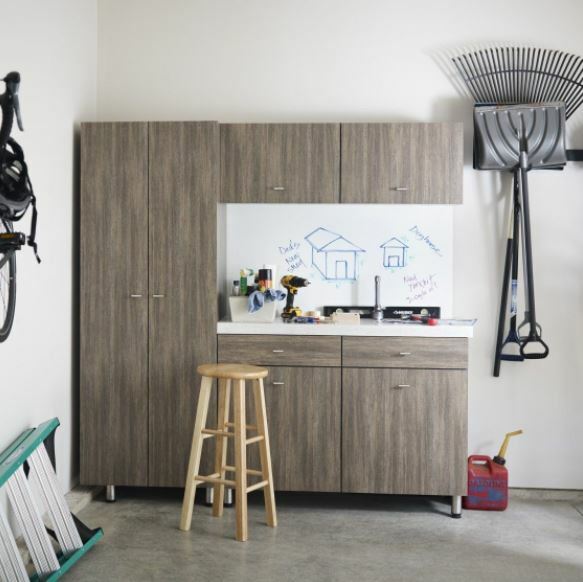 The couple’s first project was a cottage measuring 700 square feet in a decent street. The cottage, when first purchased was in a dire state and needed a lot of work - Darren and Dee Jolly where the right people for the job. All was going well with the business and Daren and Deanne Jolly until suddenly, tragedy struck. Darren was experiencing numerous severe headaches and after examination it was thought that Darren Jolly had a brain tumor. Darren was straight in for a long grueling surgery and thankfully it was a benign cyst located in the right middle of his brain. After months of recuperation Darren is now on the mend and plans on soon getting back to his and his wife’s business. In another hopefully helpful article by "Keep It Cartesian" we show how designer items for interior design give you a chance to express/show your unique sense of style to your home with a personal touch. The creativity and passion that is behind every article of designer items is a true delight. It is worth to spend an extra coin on the distinctive and unique designer interior items to decorate your house rather than using a mass of randomly selected items. 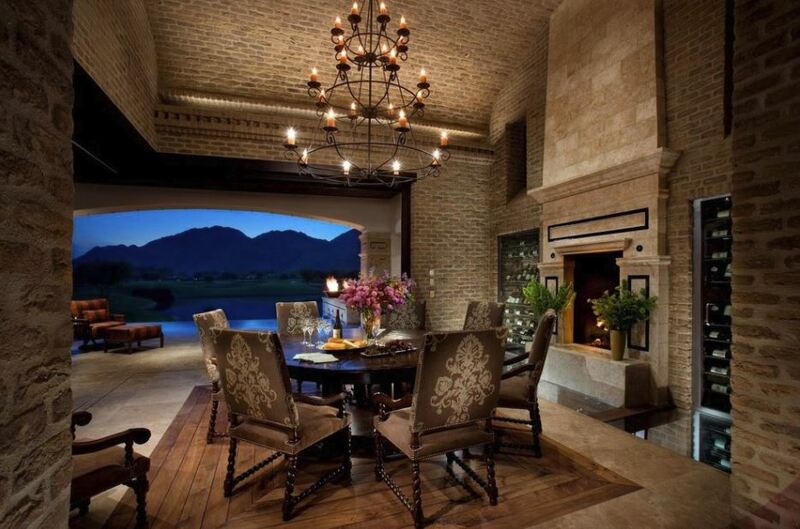 For a more detailed deep dive into this topic head over to "Jack Brunsdon`s" to the article "How to approach an interior design project"
When you are purchasing designer interior design items, it is better to buy online because you are likely to find more options. 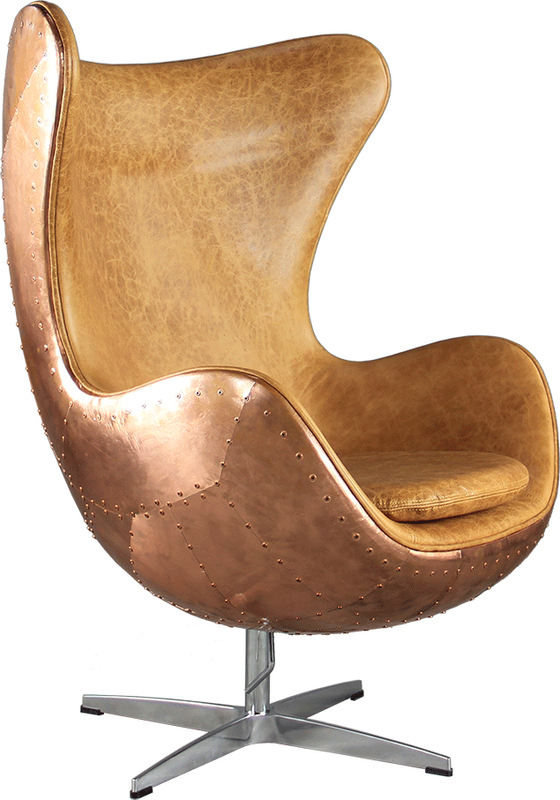 There are numerous talented designers online who have unique and quality designer items for interior design like Claire Davies from "Clairedaviesinteriors.co.uk". Compared to mainstream stores, they have a wider range of unique designer items often exclusively sold by them alone. 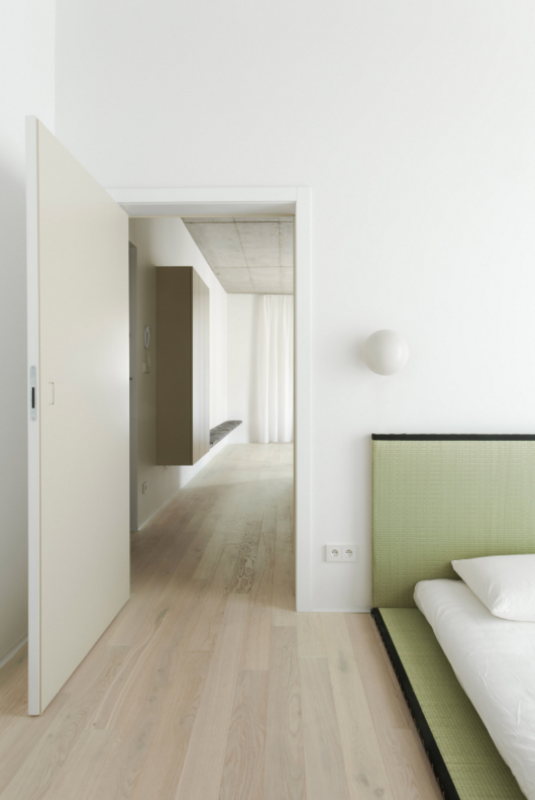 Polish office Thisispaper Studio has branched out into hospitality, with the opening of a minimalist holiday apartment in Warsaw's historical Praga district. Called A-Place, the one-bedroom apartment is located within a new housing estate that is set inside a former 19th-century vodka distillery in the Polish capital of Warsaw. The apartment, which marks the first hospitality project to be carried out by Thisispaper Studio, is described founders Zuzanna Gasior and Alexander Zaharov as "a place where both the body and the spirit can unwind". The duo wanted it to reflect the minimal aesthetic Thisispaper has become known for while providing tourists with a space to explore Warsaw in an "an unconventional way". Designed in its entirety by Gasior and Zaharov, an interior and graphic designer respectively, the apartment is neutrally decorated with white walls and natural wood flooring. Furnishings and accessories include pieces by designers such as Dieter Rams, Ronan and Erwan Bouroullec, Richard Sapper, Nao Tamura, and Louis Poulsen. "Furnishing the apartment was at once the most exciting and challenging part," said the duo. "To recreate the ambience of Warsaw, where its recent past intertwines daily with novelty and progress, we combined authentic vintage furniture with pieces designed by contemporary designers whose work we follow and admire." "Regardless of their provenance, what the pieces always have in common is modesty and restriction, idée fixe of the design ethos that has guided Thisispaper from the start." 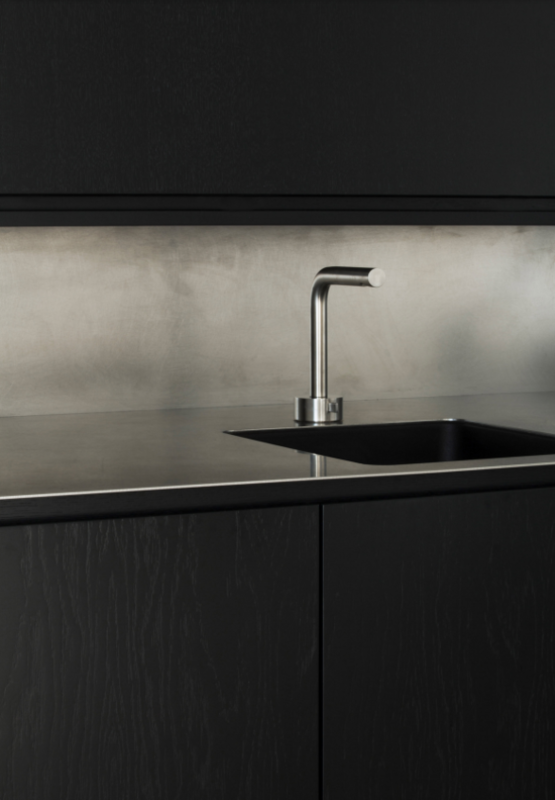 While the kitchen features dark-stained timber cabinetry and a stainless steel worktop, the rest of the apartment is decorated in light neutral colours. 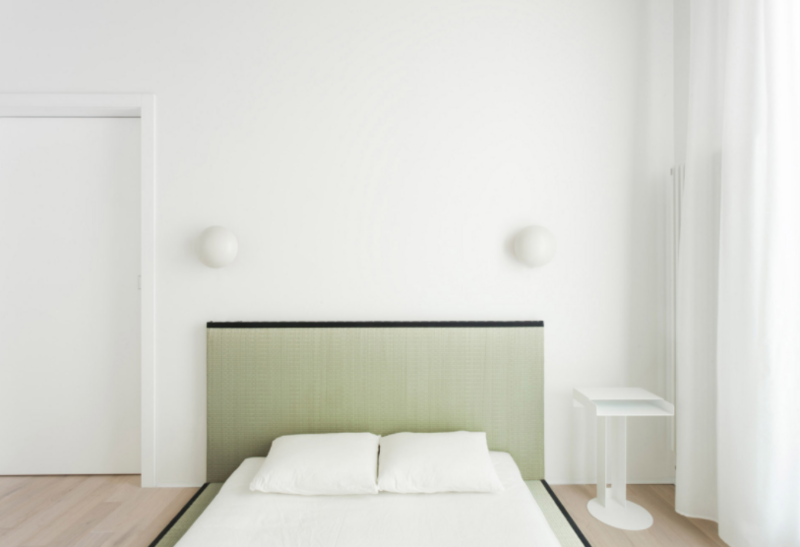 In the bedroom, a low-level bed is framed by a light green headboard, and the bathroom is covered in off-white tiles. Aiming to appeal to those interested in architecture and design, the apartment is equipped with books and magazines about the creative industries. Visitors can also find origami kits, organic Japanese tea and freshly roasted local coffee. A vintage sound system from the 1970s encompassing a gramophone, an amplifier, a tuner and selected vinyl is located in the living room. "We designed A–Place from scratch, guided by our love for honest, natural materials, such as wood, steel, ceramics and linen," said the studio. "Every surface, object and colour has been hand-picked in line with our design philosophy that creates harmony through a focus on function and purity of form." Warsaw-based Thisispaper Studio started out in 2011 as an online magazine but has since launched a print magazine and an online and store bricks and mortar store, located in a Soviet-era dental clinic in Warsaw. A-Place is the first hospitality project to be completed by the studio. "For a while now we've been meaning to take the Thisispaper experience from digital to reality," said Gasior and Zaharov. "We created a space where our values take a tangible form, available to everyone that chooses to make Warsaw a stop in their journey." 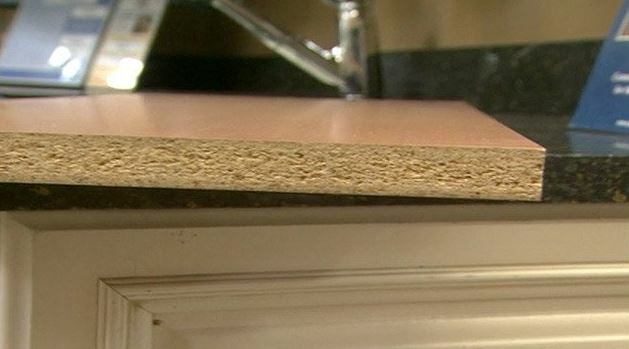 What is a Medium Density Fiberboard - MDF? MDF stands for Medium Density Fiberboard, which is a manufactured wood using wood particles and chippings which are then commonly glued together. 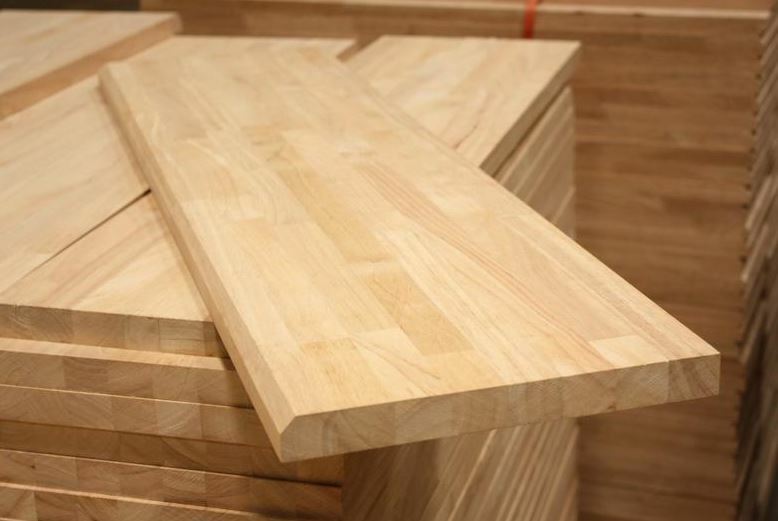 There are many different boards that are available in today’s market, such as Particle Board, Fiber Board, Laminated Board, Veneered Board and the list goes on. 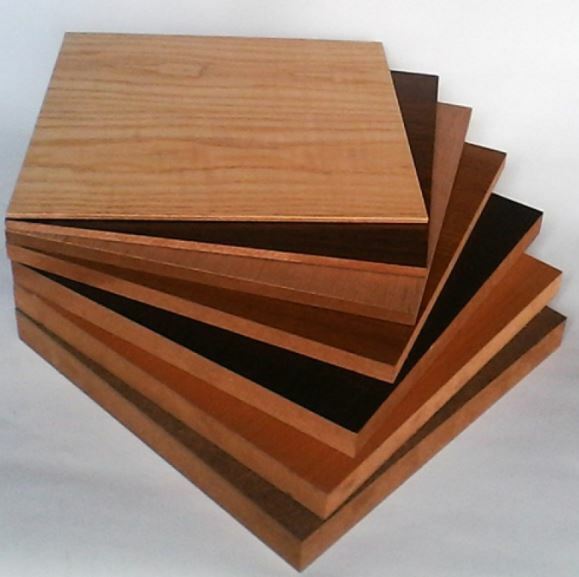 The usage in MDF sheets the past few decades have spiked due to the low cost in which it is to manufacture and to purchase such boards, each type of MDF has its own pros and cons and depending what the task at hand is, there will be a perfect board for the job. If you’re now asking yourself what type of MDF should you be considering this year when fulfilling your projects, then we will help guide you with all your MDF 2018 needs. Is MDF Good For The Environment? Most MDF boards have a few environmental issues, as it has the potential to emit formaldehyde as off-gas because of the adhesives used in manufacturing. Formaldehyde, in most cases, causes plenty of short-term health effects, such as watery eyes, respiratory irritation and many other, annoying and unnecessary problems. Formaldehyde affects sounds more annoying than anything serious but in fact, due to recent studies, the particular emissions is now seen as a known human carcinogen by the International Agency for Research on Cancer and a "probable human carcinogen" by the EPA. The reason the furniture emits such high formaldehyde values which are slightly above 0.1 parts per million is that of the type of glue which is used to assemble the board together, commonly lower formaldehyde glues are more expensive to buy and manufacture. In addition to this, boards that use this resin to be completed generally take longer to set, which further increases expenses due to the longer creation time of the product. If you wish to read even more on the topic before you form your final opinion, please fell free to read on here. 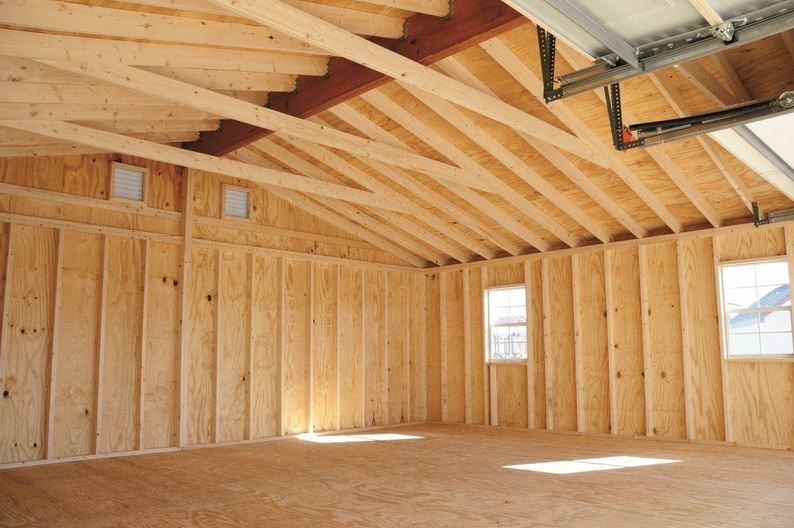 Particle boards, as the name suggests, are made up of wooden particles which are bonded together with a form of resin, particularly some form of glue as its safe, reliable and predominantly cheap. These boards also mistakenly get referred to as a chipboard due to their chipboard texture like surface. Environmentally friendly, due to the fact the boards are made with wood throwaways like sawdust, shavings and chipping which would generally just go to waste after being cut from their parent log. All of its contents is then sent through a wood chipper so that all of the particles are equal in size so that the fibreboard is an even size once put together with the resin. As we have just mentioned, the resin is then mixed together with the particles and placed in a sheet to keep everything compact, usually, this would also have some form of weight on it to make sure the fiber board sticks together and forms an equal shape. 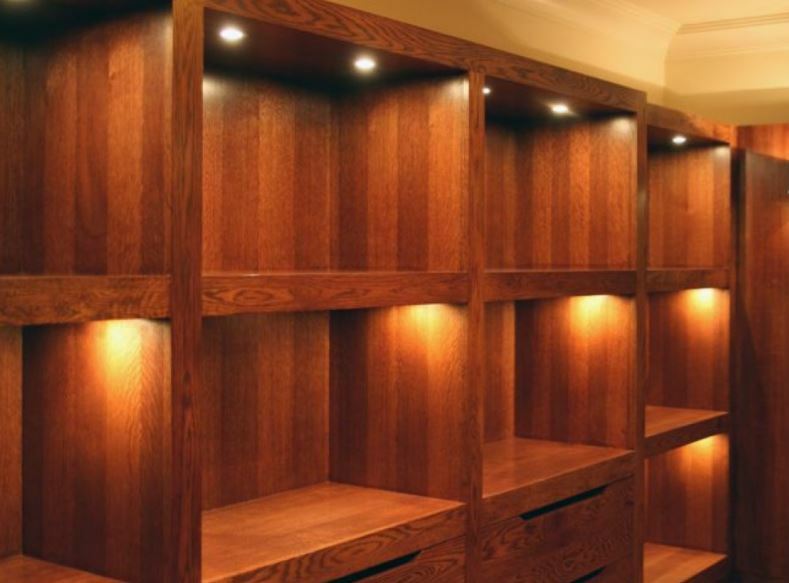 Particle boards can be used for small-scale furniture such as cupboards, plenty of minimalist style furniture is made up from these exact boards due to the curvy and reliable things you can design with them when used correctly, a particular favourite is particle board cabinets as they are cheap and reliable to have in your home. There are many different areas of your home that you may want to spruce up, adding particle board detailings around your windows, doors and floor or even ceiling in the form of elegant trims and mouldings. 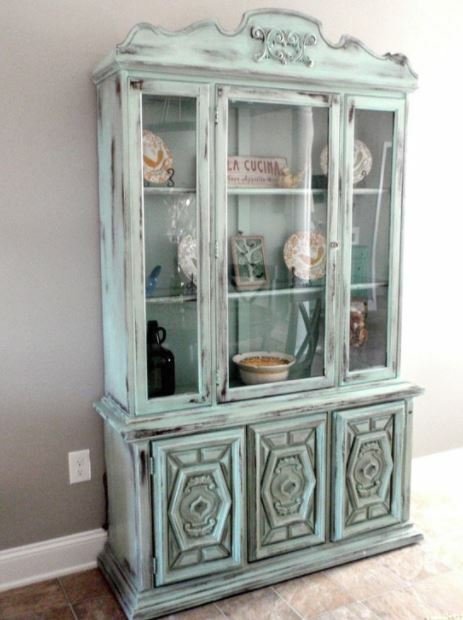 It's particularly popular for these things because it is easy to create furniture and decor with and even easier to paint. If you're interested in other uses you could get out of particle board, please feel free to read this helpful article about such uses. Fiber board is a high-density particle board and manufactured using a similar process as particle board and hardie board/hardee board. Although we did say particle boards are environmentally friendly due to the use of wood waste, rather than cutting down fresh tree’s the fiber boards are slightly different in the fact that the particles are made up of similar wood cuttings except that these are formed together with organic fiber from sugarcane and vegetable starch, which is a lot more safer than man created resins. 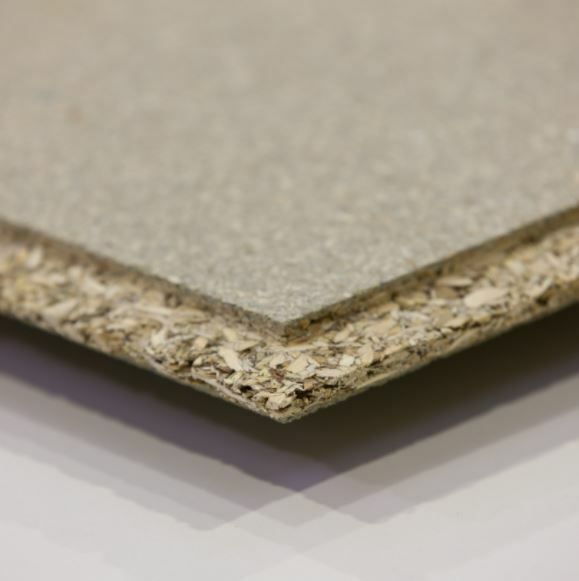 This Fiberboard is certainly the one for you if you are always considering the environment but you’re in desperate need of some reliable MDF boards. You can’t doubt their practicalness as they are used when creating residential and commercial buildings due to the soundproofing quality which they hold. Also known as OSB, manufactured from softwood strands which have then been compressed and bonded together with water resistant resins making this the perfect MDF material to be used in somewhere like a bathroom as it will make for a strong hold that will not be affected by the moisture. This particular MDF should only be used in in places where appearance is not a matter as the surface is a little rough and somewhat awkward to give it an appealing finish, this is why this type of board is generally found on the back of wardrobes or at the bottom of a bed because this is somewhere, in theory, no one will get to view. Particularly if you wanted to use such fibreboard for a display piece, as part of some furniture or other decorations, you will need to sand the boards down first to get rid of their rough texture so that it is a lot easier to paint over them. Chipboard is not so dissimilar to a laminated board, as the creation process consists of heating and assembling at high pressure. The key difference is that instead of layers of fibreboard bonded together, chipboard is just made up of wood particles which are stuck with resin all at once, meaning that it isn’t as reliably strong as the laminated board may be but it will be a lot cheaper because of the shorter manufacturing process. Similar to laminated board it is also possible to give the MDF wood more style by painting the chipboard with colours of your choice. 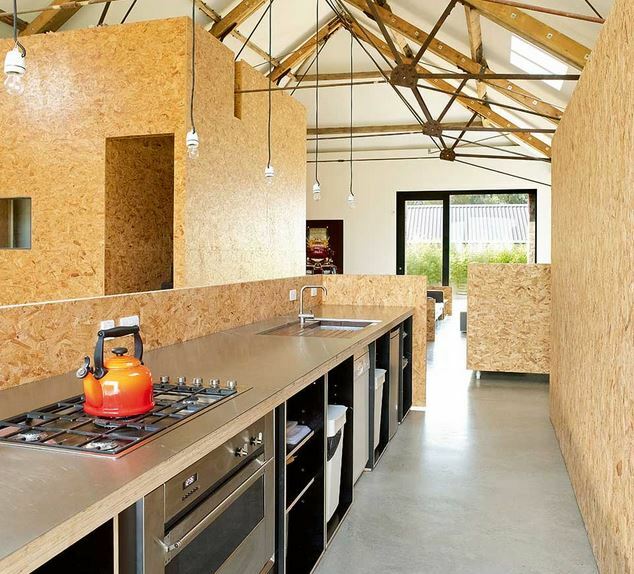 Chipboard has seen a high spike in uses by furniture manufacturing companies such as IKEA as it makes the perfect durable material to be used for flat pack furniture a long with it being great for kitchen furnitures such as worktops and flooring. Laminated boards are a type of hardboards that you would particularly find if you took apart that beautiful shabby chic sideboard that you feature in your hallway, because of its reliable strength and durableness. The particular board consists of a number of thinner boards which have been created with wood fibres that have then been exposed to high heat and put together with the use of equal high pressure to enable the sheets to essentially blend together and become one. With strong and stiff qualities, this particular MDF wood is more common for larger furnishings, the complete opposite of what particle boards and fibre boards would be used for. The final board in which we will look at is the veneered board, this is a great board if you really want the natural wood look along with the feel. Because the MDF panel can be veneered with decorative wood patterns sheets you can get a lot more creative use out of this particular fibreboard than you might be able to with something like a particle board. 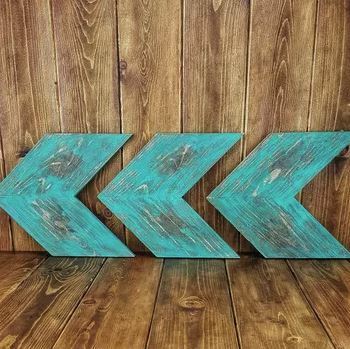 Although the drawbacks of this board if any, is that you can only use it on gradual curves as when the Medium Density Fiberboard has dried up you could find yourself with cracks across your design and of course, no one wants this look. Texture is an element which can sometimes be overlooked when planning a scheme. 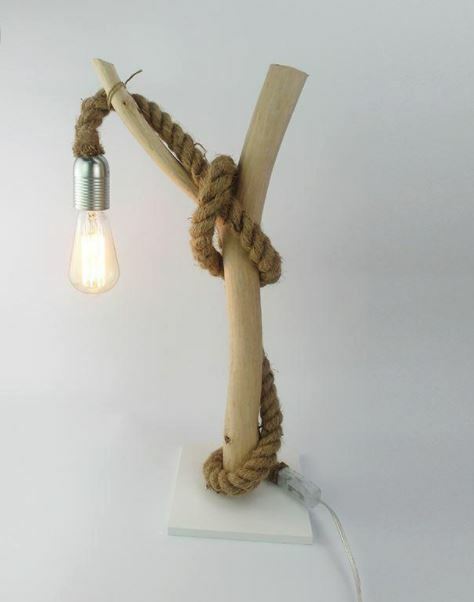 It has the ability to add a powerful, and subtle dimension to any room. Texture refers to how the surface of an object feels; therefore, you are no longer confined to visual elements such as line and colour, now you can actually determine the way the space will feel too by using texture. Just as you think about colour and pattern, also consider how you can mix textures in your room schemes. 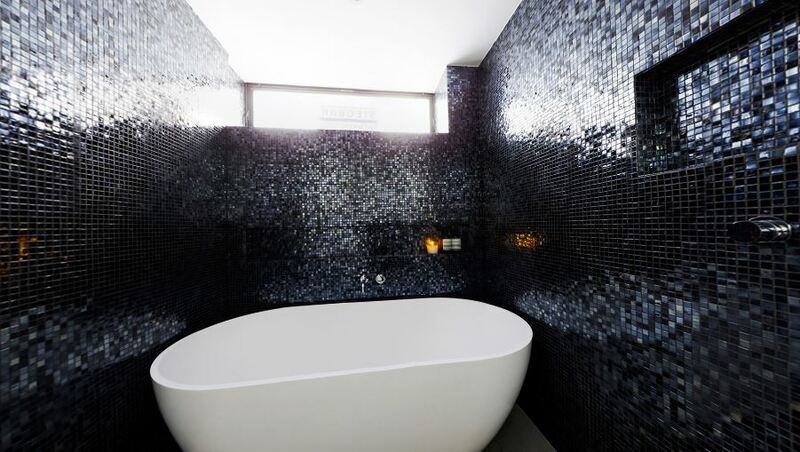 All surfaces have texture be they matt or shiny, coarse or fine, rough or smooth. If you are thinking of working with just one colour group it is particularly important to introduce different textures. 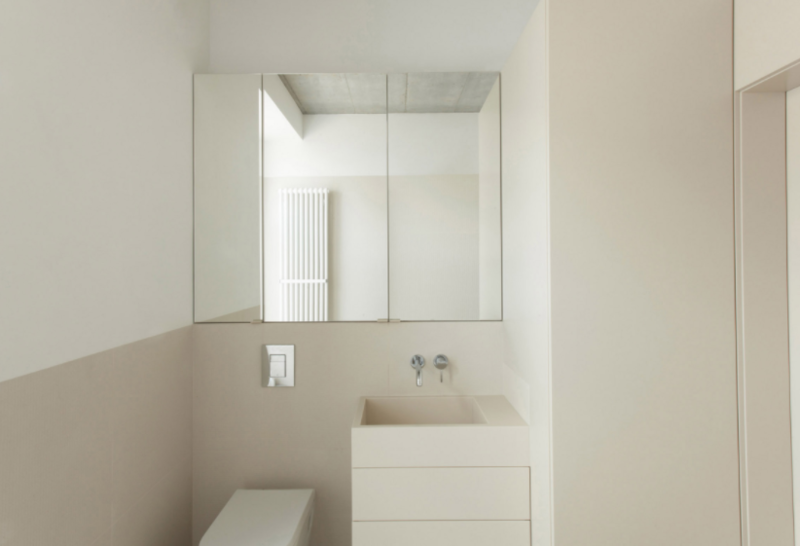 Neutrals are ever popular, as they are so easy to live with and co-ordinate with other colours well, but they can be rather dull unless different surface finishes are introduced. 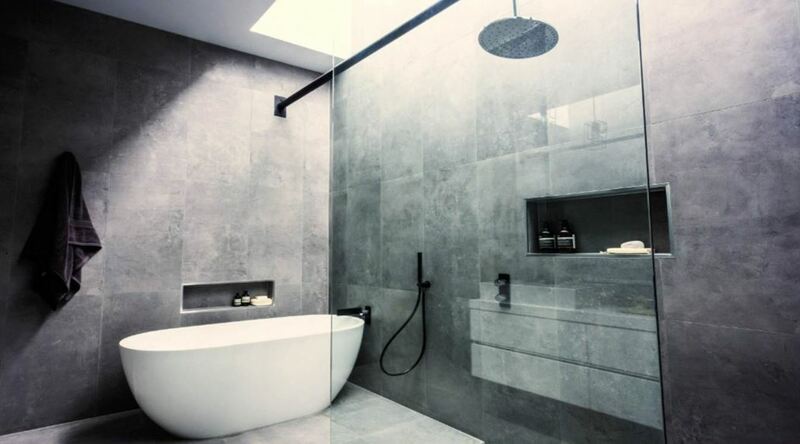 It may be great to have a sleek marble floor in a contemporary bathroom, but is it a practical choice? One of the basic principles of using texture has to do with scale. Rough, coarse textures tend to make an object feel heavier, while smoother textures will make it feel lighter. Texture can suggest temperature: smooth and shiny textures which reflect more light and give a cool impression; soft, raised textures, which absorb more light, convey a sense of warmth. 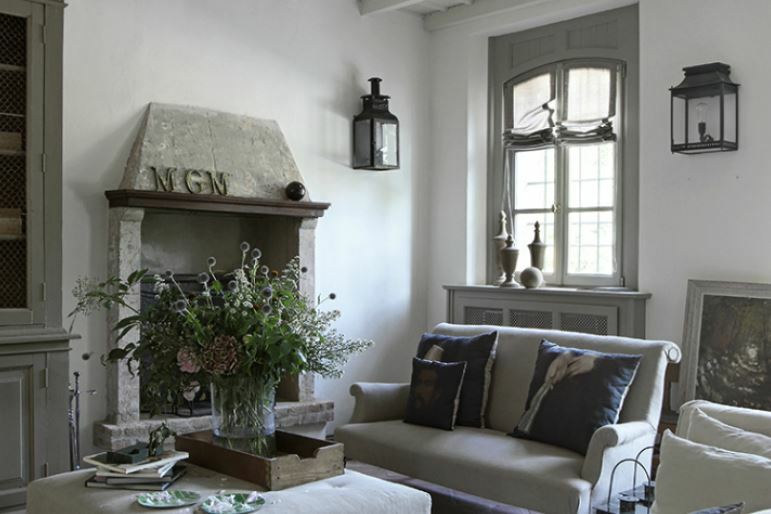 Rooms we would describe as ‘cosy’ usually include lots of texture.